NEW YORK: MWW said in a statement on Thursday that former congressman Anthony Weiner has joined the firm’s board of advisers, but he will not work directly with clients. The firm posted a statement on its website to clear the air about Weiner’s hiring, saying, "He will be a part-time consultant to the agency, primarily focused on policy matters and new business development." 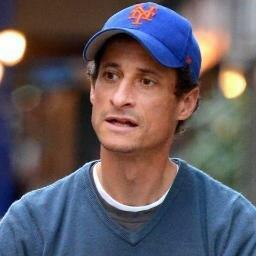 "[Weiner] brings to MWW a deep background and understanding in the workings of Congress and the city of New York. As a former member of the US House of Representatives, [he] was a leader on many issues ranging from the future of healthcare to national technology policy," the firm said. "His public policy expertise will be a great asset to our firm." The New York Post reported early Thursday that Weiner "will now get paid to dispense advice to high-paying clients" of the agency. Weiner resigned as a member of Congress in 2011 after his first "sexting" scandal, in which he tweeted an explicit photo. His 2013 candidacy for mayor of New York City was derailed in part by a separate scandal involving sexually explicit pictures and text messages. A mayor worthy of the digital city?